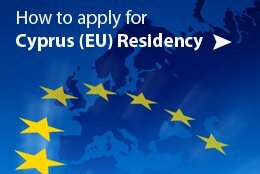 Want to know more about Geroskipou ? 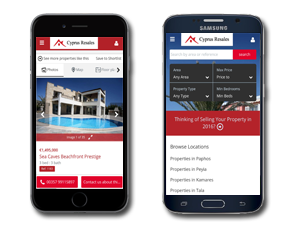 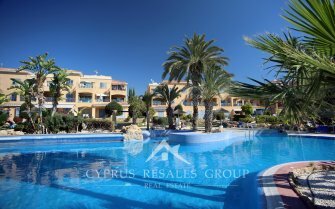 Looking for an easy first time purchase in sunny Cyprus? 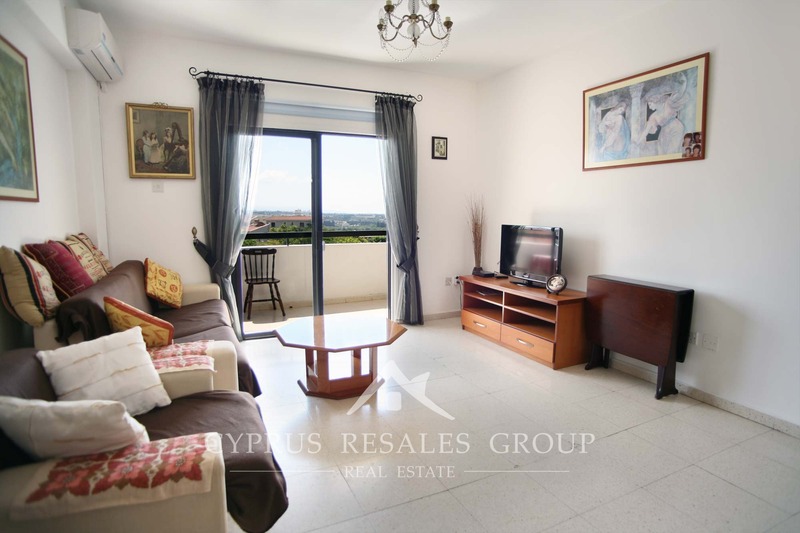 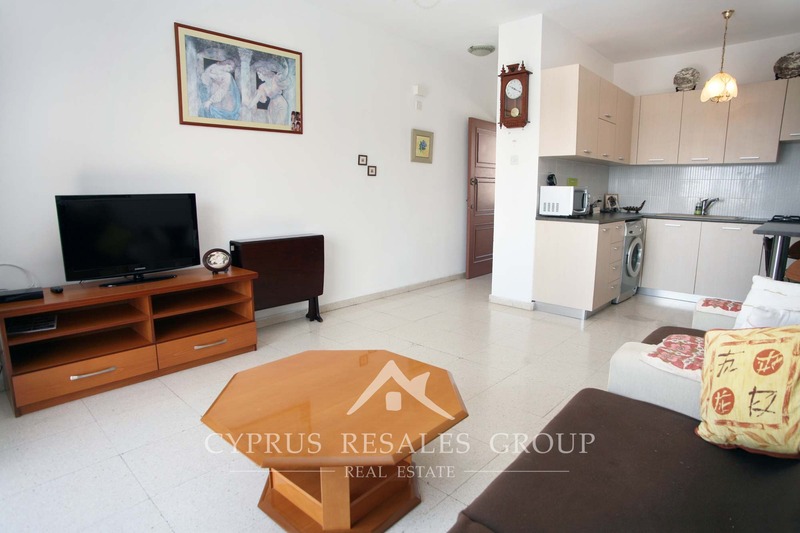 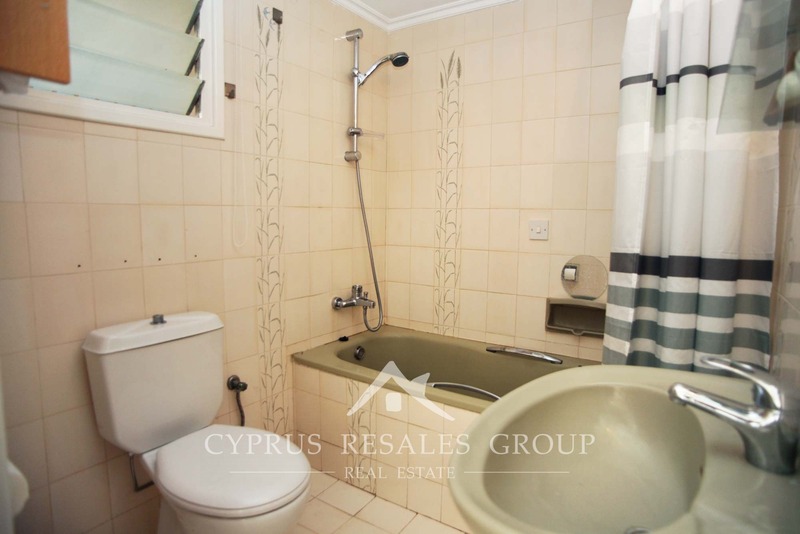 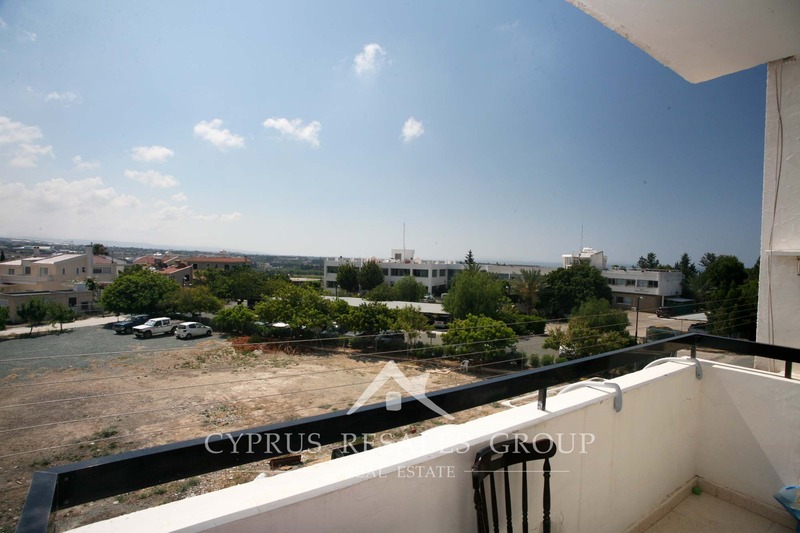 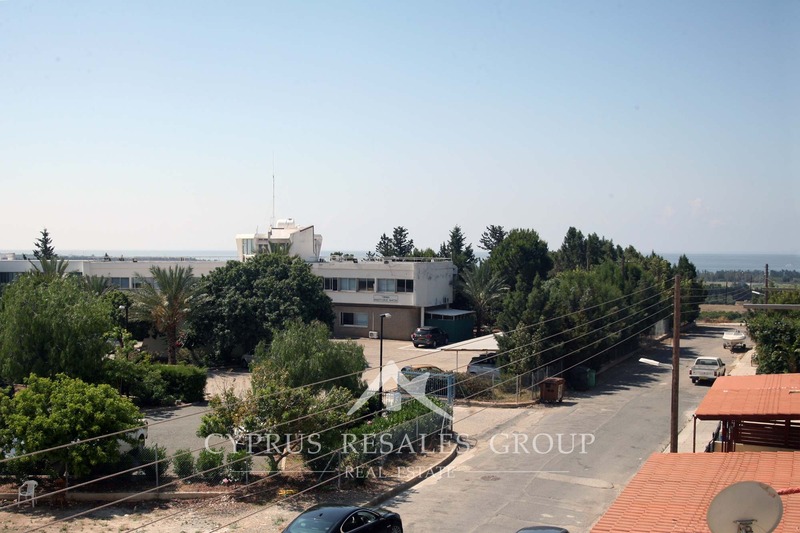 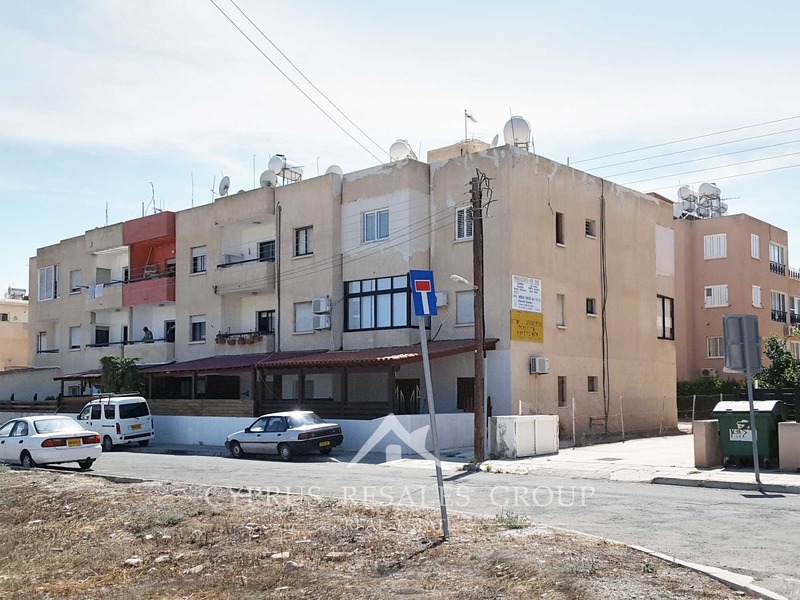 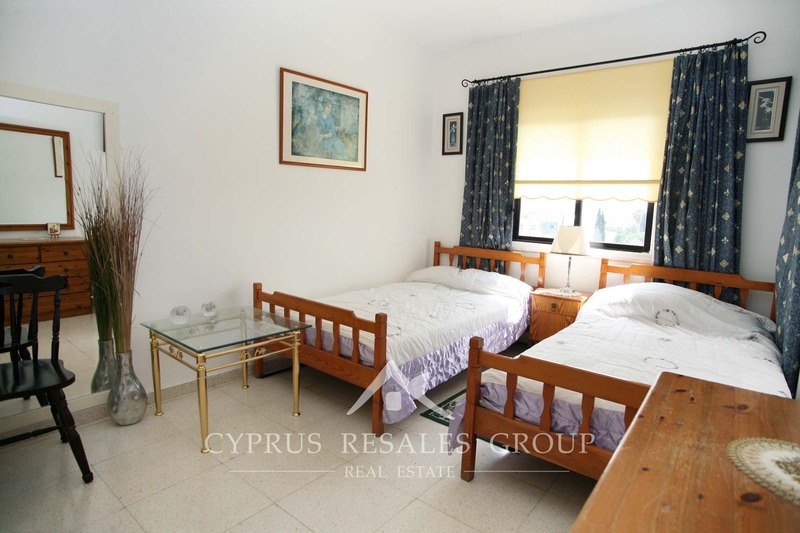 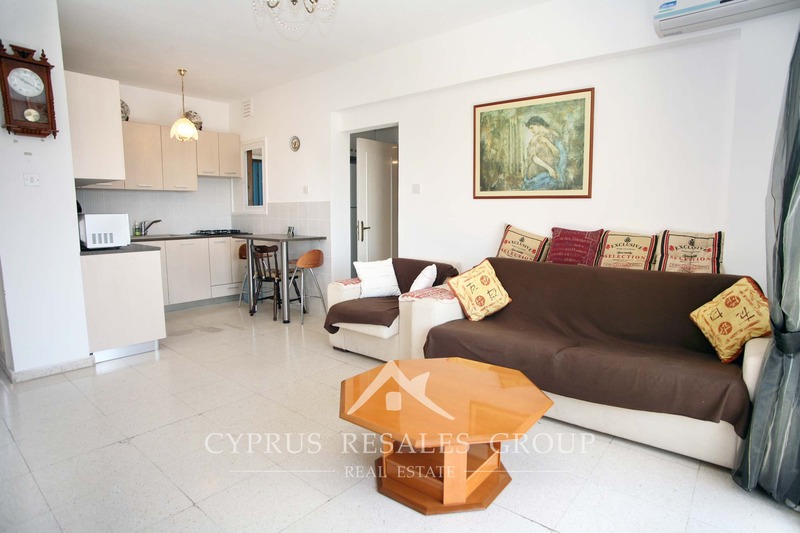 Look no further than this cosy 1 bedroom apartment in Geroskipou on the outskirts of Paphos. 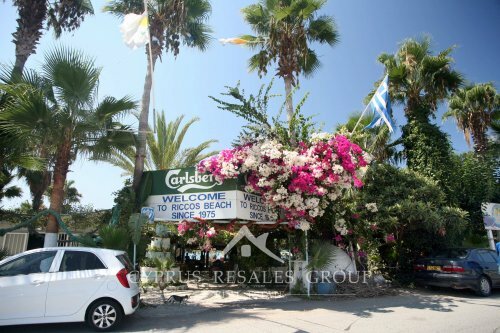 Numerous local shops and taverns are within a short walk from the apartment, while the Aphrodite Water-park and sandy Riccos Beach with the popular Atlantida restaurant are also nearby. 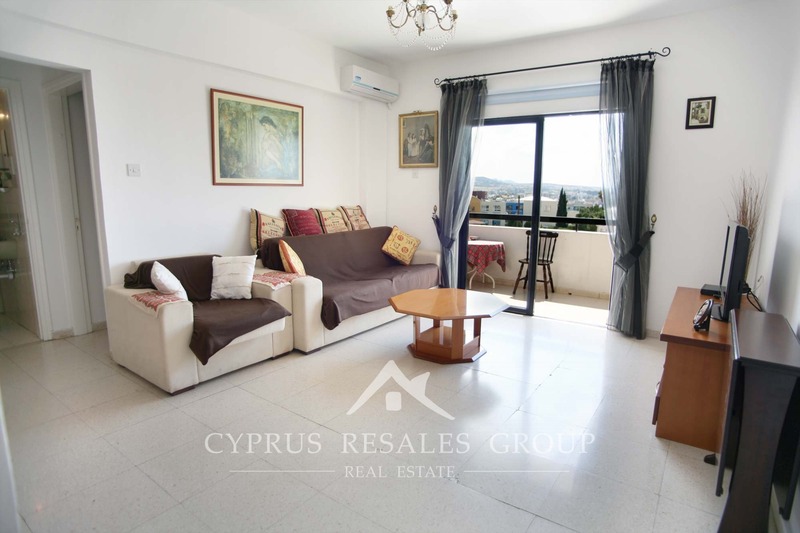 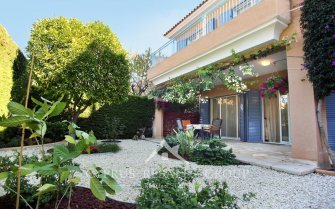 This neat second floor apartment offers spacious lounge exiting on to the covered balcony with coastal and mountain views. 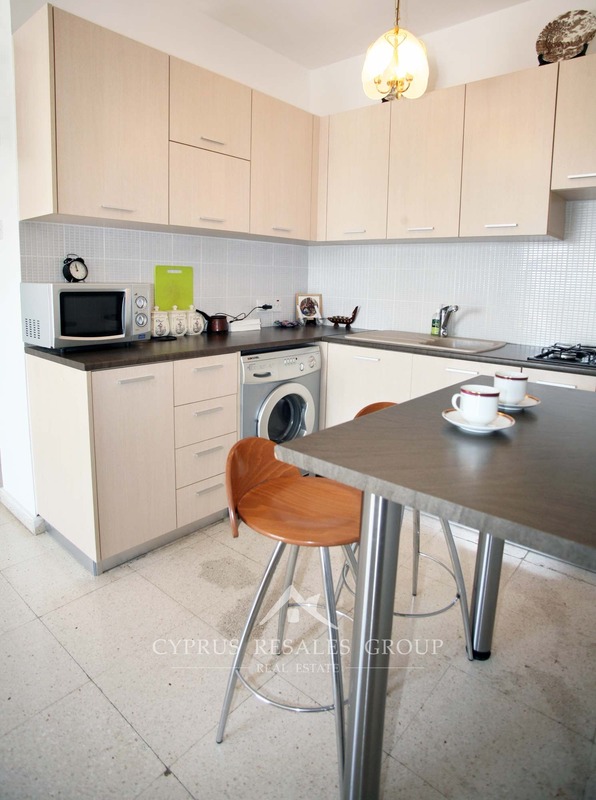 Newly renovated breakfasting kitchen provides welcoming atmosphere for your healthy Mediterranean meals. 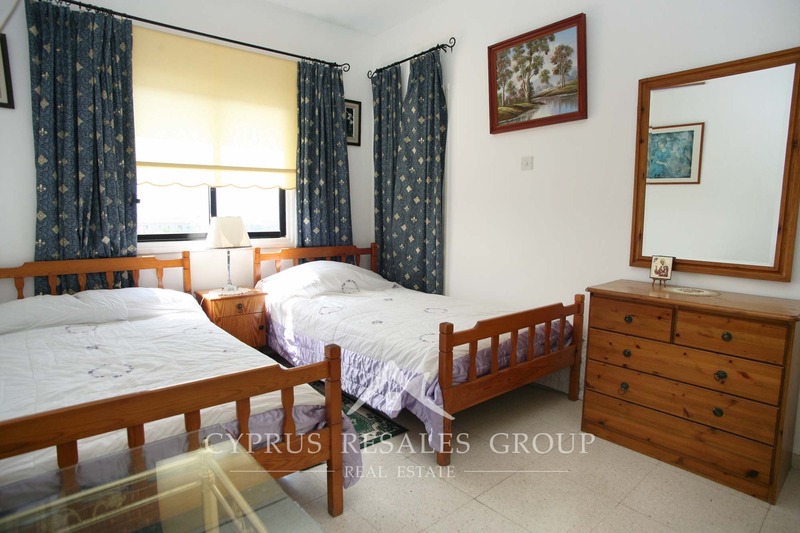 Adjacent hall provides space for a full size fridge freezer. 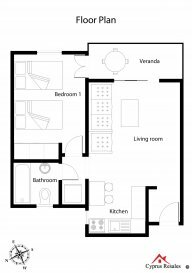 Further down the hall we find a family sized bathroom and a double bedroom with access to the aforementioned covered balcony. 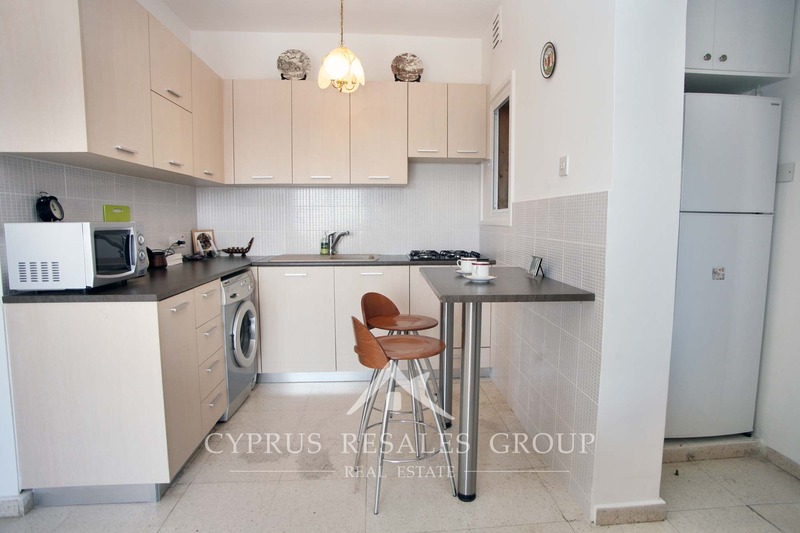 Separate title deed, convenient location, superb price – this bargain could be yours!